Is Dragon Fruit an Anti-Cancer Food? Although native to Central and South America, the Chinese made the dragon fruit legendary with the story of its creation thousands of years ago by fire-breathing dragons. With its distinct skin and sweet flavor, it's hard to pass up this exotic fruit. Not only is it fun to eat, but dragon fruit is also rich in nutrients that may protect you from cancer, making it an anti-cancer food. More than one-third of most cancer cases could have been prevented by following a healthy diet and maintaining a healthy weight, says the American Institute for Cancer Research. The anti-cancer diet is a healthy diet that includes a variety of nutrient-rich foods from all of the food groups. The diet includes more fruits and vegetables, whole grains, fish, lean meats, nuts and seeds, while reducing your intake of processed foods, saturated fat, sodium and foods with added fat and sugar. In addition, the American Cancer Society recommends you consume at least five servings of fruit and vegetables a day to limit your risk of cancer. Including dragon fruit in your diet can help you meet these recommendations. While being a fruit certainly helps dragon fruit as an anti-cancer food, it also contains nutrients that also help to reduce risk. Although not significantly high in fiber, one dragon fruit contains 1 g of fiber. Fiber in fruit helps move food through your digestive tract, bulks stool and aids in elimination, which helps remove potential cancer-causing toxins. You should aim for 20 g to 37 g of fiber a day. Dragon fruit is also rich in antioxidants, including beta carotene and vitamin C. Antioxidants are nutrients in food that protect your cells from damage by unstable substances called free radicals. The damage to your cells caused by these free radicals can lead to cancer. Including more antioxidant-rich foods like dragon fruit in your diet may offer protection against cancer. However, more research is necessary to further investigate the benefits of antioxidants against cancer before formal recommendations can be made. Obesity is a risk factor for cancer, according to the MD Anderson Cancer Center at the University of Texas. Balancing your calorie intake to help you attain and maintain a healthy weight can reduce your risk of cancer. The dragon fruit is a low-energy dense food, meaning it has few calories compared to its serving size. This can help you limit your calorie intake without leaving you feeling hungry, aiding in weight control. 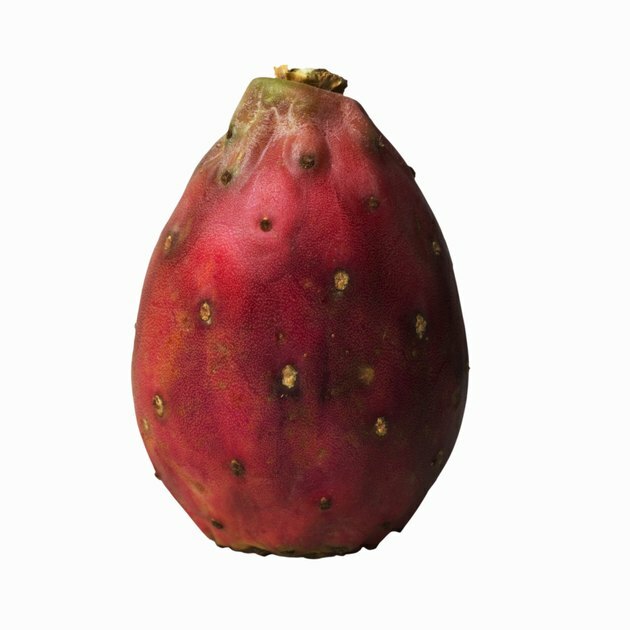 One dragon fruit has just 60 calories.